The acting president and his entourage including the chairman of the All Progressives Congress (APC) Adams Oshiomhole and Kano state governor Umar Ganduje stopped by at the home of President Muhammadu Buhari’s elder sister, Hajiya Rakiya Adamu, to say hello. No fewer than 21,476 Nigerians have overstayed their visas to the United States within the last one year, Per second news media reports on Thursday. It said that information it gathered from Washington indicated that those who overstayed include students, workers and tourists, with an increase in numbers of those that have refused to return to Nigeria. Illegal immigration by overstaying a visa has been shown to outweigh a number of people entering by an illegal border crossing. More than 700,000 foreigners who were supposed to leave the United States during a recent 12-month period overstayed their visas, according to U.S Department of Homeland Security ‘ Fiscal Year 2017 Entry/Exit Overstay Report. 185,375 Nigerian visitors were expected to depart after their stay, with 630 of them overstaying their visas, while 19,046 visitors and businessmen and women refused to return to Nigeria and residing illegally inside the United States. Saudi Arabia has apparently threatened a 9/11-style aircraft attack on Canada in an astonishing tweet. A Twitter account linked to the Saudi government posted an image showing a plane flying towards the skyline in Toronto. The post was later deleted and reposted with the plane removed. Two captions were posted on the original image – one reading ‘sticking one’s nose where it doesn’t belong’, while the other said: ‘As the Arabic saying goes: ‘He who interferes with what doesn’t concern him finds what doesn’t please him.” Saudi Arabia’s media ministry is investigating the incident, which came as tensions between the two countries escalated. The Youngest wife to the Alaafin of Oyo, Queen Ola has bagged her BSc degree, The excited Lady shared a video of herself with Friends as they sign off from the University of Ibadan. Congrats to her, see more photos below! The death of a seven-year-old boy who was killed in a house fire is being treated as murder, police have said. 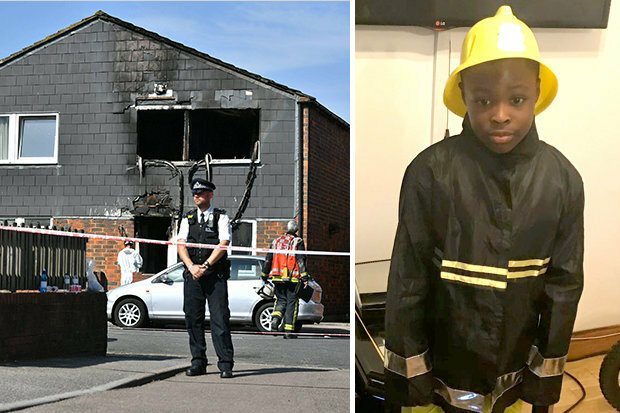 Joel Urhie was found dead after the fire in Deptford, south-east London. His mother, sister and brother are in the hospital. Detective Superintendent Jane Corrigan, of Lewisham Police, said: ‘An innocent seven-year-old boy has lost his life in what should have been the safest place for him, his home. Boris Johnson has sparked anger by claiming that women wearing burkas look like letter boxes and bank robbers. 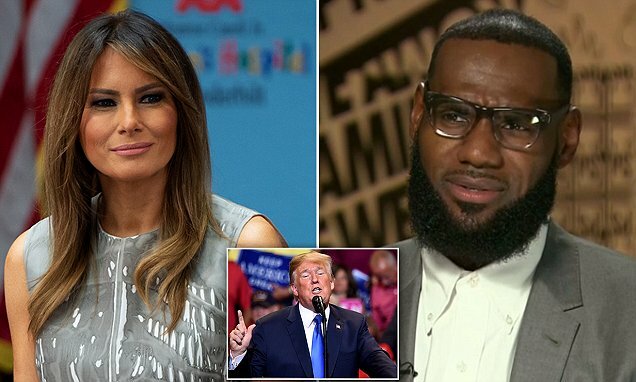 His comments have been furiously condemned by Muslim leaders and Labour, with MP David Lammy branding him a ‘pound-shop Donald Trump’. The former foreign secretary made the inflammatory comments in his Daily Telegraph column. However, he insisted that the burka and other face-covering veils should not be banned in public. Last week, Denmark followed France, Germany, Austria and Belgium in banning the burka and niqab. Mr Johnson said that schools and universities should expect students to remove face coverings if they turn up ‘looking like a bank robber’. A lady who has been pregnant for over 4 years, has welcomed a baby girl just after her husband left her for another lady. 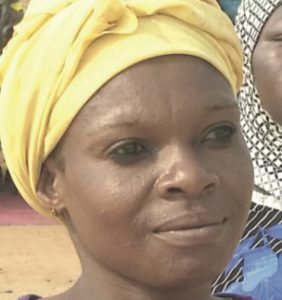 According to online sources, the husband of the lady said he can't be a husband to a woman who is pregnant with water and doesn't deliver it.